We make two different sizes of drivers: 5 and 9 inch. 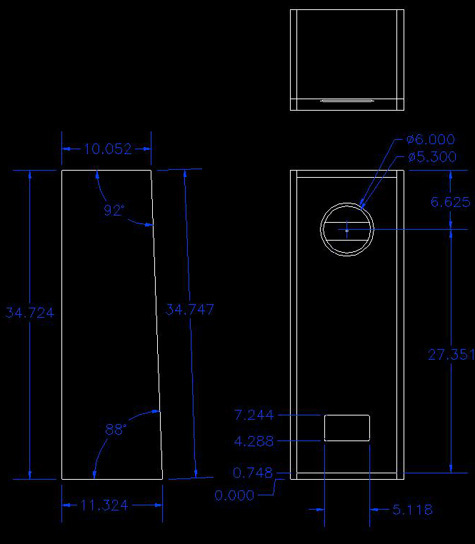 As can be expected, the 9 inch has a larger sound, the 5 inch has a slightly greater finesse in the high frequencies. Please choose according to your room size, though we should note that the "smaller" 9 inch drivers, I.E. the Naturflux units, can also work well in small/medium sized rooms. 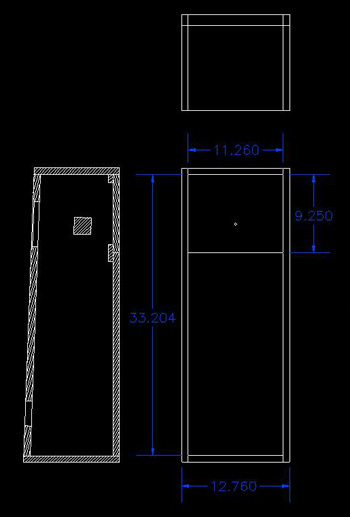 Also, the "larger" 5 inch units I.E. the Type II and III really shine when given a large room in which to breathe. In the end, it is all according to your taste in music reproduction. All of our full range driver units are the best at what they do. For advice regarding driver choice, please do not hesitate to ask us directly. Naturflux: Feastrex's original patent-pending Naturflux magnetic circuit is an immediately obvious innovation in magnetic circuit technology and represents an incredible value. Not only do Naturflux drivers achieve excellent gap flux density, that flux is extremely stable and able to be put to optimum use. The sound is amazingly natural and effortless: the music simply flows out as naturally and easily as a river meanders across the plains seeking the ocean. Asking magnetic flux to negotiate the sharp, 90-degree bends in a conventional magnetic circuit is like asking water to flow around a sharp right-angle curve. It can be done, but it’s not happy doing so, and inefficiencies result. Sharp bends affect magnetic flux and water pipes similarly: resistance increases with pressure and as a result flow volume falls off. (In the case of water pipes, the right angle pipe will actually get hot under a high enough flow rate). Where previous designs fought against the natural behavior of magnetic flux, the Naturflux magnetic circuit accommodates flux behavior and uses it more effectively. The Naturflux design demonstrate the importance of voice coil gap flux stability and strength in high fidelity sound reproduction. 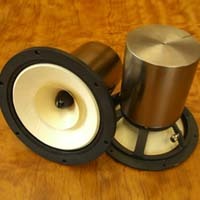 "Monster Alnico": Each "Monster Alnico" motor uses a massive Alnico 5-7 magnet designed to realize ultimate quality in a permanent magnet speaker. To the best of our knowledge, these are the largest magnetic circuits ever made for full-range drivers of their respective diameters. Of course, the motors were not made massive simply so that we could have bragging rights, but rather because we found that these size and dimensional characteristics produced genuine benefits for the reproduction of beautiful sound. These motors achieve extremely high efficiency in drivers characterized by excellent frequency balance and superb tone. Their ability to accurately resolve and convey space-time information is outstanding. Our "Monster Alnico" magnetic circuit uses annealed pure iron yoke, pure iron pole piece topped with Permendur, and a top plate made of pure iron with the center 40% (by area) made from Permendur. The resulting increase in the magnetic circuit's permeability greatly increases the voice coil gap flux density and stability. The characteristic advantages and delightful tone of Permendur are very pronounced in the sound of these drivers. After you experience Feastrex "Monster Alnico" drivers we believe you'll agree they represent the state of the art in permanent magnet full-range drivers today, with sonic performance and beauty unrivaled by offerings from any other manufacturer. Naturflux Exciter: The NF5ex is a tremendous value, achieving excellent results with its round wire exciter coil and spherical S10 iron yoke. The bass from this circuit is incredibly powerful, with very natural dynamics and microtonal resolution. It takes the characteristic Naturflux sound and cranks it up to an even higher level of power and finesses, with impressive slam and authority, incidentally taking all the tonal charm and subtlety of the Naturflux aesthetic to a still higher level of perfection. Type I: Type I field coil drivers' magnetic circuits use a patented square wire coil for 99.9% packing efficiency. This results in a more efficient, powerful, and cooler-running motor. The drivers perform with total effortlessness. 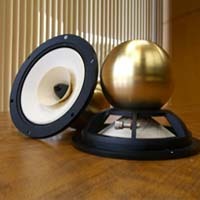 The Type I motor's yoke, pole piece and top plate are made of entirely of hydrogen annealed pure iron, in a design that achieves maximum saturation of the voice coil gap, for astonishingly good sonic performance -- massive, beautifully detailed, supremely controlled and with seemingly limitless energy. Type II: Type II field coil drivers' magnetic circuit use Permendur for the entirety of the top plate and pole piece, in combination with a pure iron yoke. Type II drivers resolve an amazing -- hypnotic -- level of detail, and as might be expected their tonal character is intermediate between the pure iron sound of the Type I drivers and the pure Permendur sound of the Type III drivers . Regardless of which model one might choose, all of Feastrex's drivers represent, according to our U.S. distributor Mr. Joseph Cohen, "an embarrassment of riches." He lauds them from the heart, saying, "Choose any driver and you will have deep fulfillment. Each driver is like a living creature. Each has its own unique character and energy." Each Feastrex driver has its own greatness. The Type III field coil driver is not just another step up the ladder of the Feastrex product line. The Type III is better thought of as a step completely off the ladder, into another dimension. We find ourselves at a loss for words in trying to adequately describe this sound. Suffice it to say, we experience withdrawal symptoms when we cannot listen to this sound. Because we cannot adequately explain to you what they are, we simply encourage you to try to find an opportunity to listen to them. The Type III is an unforgettably special, wonderful experience in life. For many lovers of beautiful music it is even a transformational experience. Feastrex.com © 2008 All rights reserved. Feastrex.com Japan: contact Haruhiko Teramoto. IBI Co., Ltd. Aesthetics Development Division. 7841 Anayamacho, Nirasaki, Yamanashi 407-0263 Japan. Tel +81551227221. "Hal (at) feastrex (dot) com"